Many travelers around the world dream to visit the most iconic Annapurna region at least once in their lifetime. Annapurna region offers fantastic views of Mt. Fishtail, Annapurna massif and it’s glowing neighboring ranges. The trekking infrastructures in this region are highly developed as this route is famous for family, solo, and as well as couple travelers. 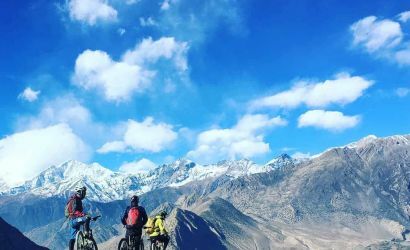 The trekking route mainly boasts some of the best viewpoints in the world such as; Poonhill, Thorung La Pass, Kang La Pass, Annapurna Base Camp, Khopra Ridge, etc. Some of the trekking associated with these viewpoints are Ghorepani Poonhill Trek, Annapurna Circuit Trek, Nar Phu Valley Trek, Annapurna Base Camp Trek, Khopra Danda Trek, Australian Base Camp Trek, and Mardi Himal Trek. The land of Mustang in the Annapurna Region lies in the rain shadow area which is commonly known as the Himalayan desert and do not possesses any vegetations, thus the lands are very dry and barren. The charming Gurung, Manangi and Thakali tribes of people settling in this region add a cultural highlight.